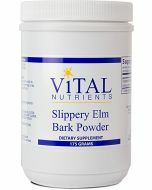 Slippery Elm Bark Powder by Vital Nutrients provides a source of inner bark from the slippery elm tree‚ which is found in North America and has been used for centuries for its herbal benefits. The bark of the tree contains mucilage‚ which can coat and soothe the throat while helping to stimulate mucus production in the body. Supporting your health on a day to day basis can be difficult. Not only is it undoubtedly time consuming‚ but it also requires an effort and dedication that sometimes simply feels overwhelming. But‚ it is your health- it is definitely worth all it takes to stay maintained. Some methods to obtaining better health are easier than others‚ however. For instance‚ taking a mixable dietary supplement. 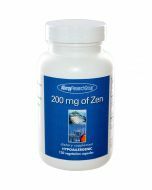 Instead of having to rely on capsules to help you get the health benefits you deserve‚ you may want to try a powdered supplement that is easily mixable in liquids and can deliver the peace of mind and advantages of a supplement derived from nature. Mucilage becomes more like a gel when it comes in contact with water‚ and can provide antioxidant properties while supporting the mucus membranes of the body‚ including the gastrointestinal tract. Slippery elm bark powder therefore may have the ability to help support against stomach or intestinal issues‚ by providing relief with its soothing compounds. Each 175 gram container of Slippery Elm Bark Powder by Vital Nutrients contains 70 servings and has a recommended dosage of one rounded teaspoon twice daily in water‚ juice‚ or other beverage as a dietary supplement‚ or as recommended by a healthcare professional. This slippery elm bark supplement does not contain any hydrogenated oil‚ artificial coloring or flavoring‚ or preservatives. Slippery elm is an amazing, mild-flavored, highly nutritious herb. It is used in many combinations and poultices not only because of its medicinal properties but also because of its cohesive quality that helps hold the other herbs together. In case of famine, it would be an excellent herb to store and to forage for eating. Mucilaginous and expands when mixed with water. Does not mix easily, use a blender, wire whip, fork, or shake in bottle, etc. Should be taken with lots of water. Contact healer both internally and externally. Coats, relaxes, and heals all inflamed tissues including irritated and inflamed mucous membranes of stomach, bowels, and kidneys. A gentle herb - one of the best for diarrhea especially for babies. 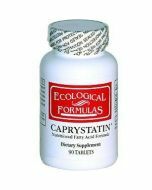 It normalizes the stools, soothes, coats, and heals the entire intestinal tract lining. Used in enemas for scalding diarrhea because of soothing and healing qualities. The flavor hints of burnt caramel candy - most babies willingly eat a slippery elm mixture. Good for ulcers and delicate stomachs. Great of hiatal hernias. Must be taken in tea form or powder stirred in water for this. 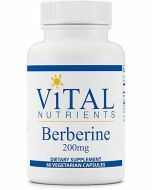 Capsules would dissolve in the stomach and the hernia would not be coated since it is above the stomach. 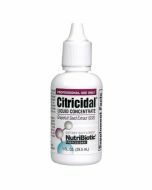 Contains mucilaginous compounds that decrease the thickness while increasing the production of mucosal fluids. These compounds soothe inflamed tissue, decrease bowel transit time and absorb toxins from the bowel. It also contains astringent compounds that shrink inflamed tissues. Slippery elm has been used to treat asthma, bronchitis, colitis, coughs, weak digestion and inflammatory bowel disease.